Today we’re going to discuss one of the aspects that makes eBay such an effective platform for selling everything from glass beads to complex servers. This feature is something all self storage auction hunters should be able to understand very well: Basic bidding psychology. 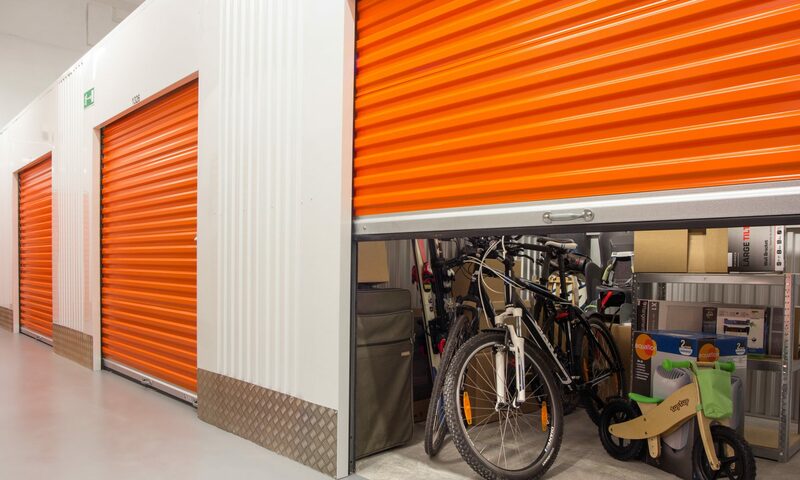 The same thrill and excitement that originally got you hooked on bidding on storage lockers is going to help you sell down the inventory you accumulated through doing so. eBay is a very effective sales platform, but it can take some time for newcomers to become comfortable with it, and even more time to learn its subtleties and the little insights that take someone’s online auction profits from hesitant to full-blown. One thing that eBay newcomers do tend to overlook is the basic bidding structure of this online marketplace. eBay originally rolled out and was known for bidding – sellers would list their items at a small opening bid and buyers would hammer back and forth until the close of the auction. Today, eBay has grown into a far more sophisticated and complex sales platform than it was when it originally launched. There are multiple ways to sell your items on eBay now. For example, you can start up a “store” and list your inventory for mere pennies and let them sit there forever without costing you any additional fees. The idea behind this approach was to give merchants a way to set up a virtual store front that would accommodate their potentially massive amount of inventory. This is still a great idea and works very well for certain businesses that stock a large number of extremely specific small parts which enjoy a relatively steady demand – hearing aid batteries of a certain type, for example. When it comes to eBay store listings, these kinds of items do well because searchers will be typing in exactly the name or model number of the item they want and they won’t have too much trouble finding it in your store. However, this doesn’t quite pack the same sell-through punch for auction hunters that tend to accumulate more wildly diverse groups of goods and products. The type of eBay selling that still works best for auction hunters is, well, auctions! Far too many new eBayers overuse the Buy-it-now feature, which allows a seller to specify the exact dollar amount they’d be willing to accept for a given item. If you choose buy it now, and someone viewing your item agrees with you on the price, then BOOM they buy it right then, you get your money and ship the item off. This is great in theory, but the problem is that far too many eBay newbies drastically overprice their Buy-it-now items and then wonder why they don’t sell anything. Sticking to auction-type eBay listings, with low starting bids, allows you to avoid this pitfall entirely, but that’s not even the most important reason that you should always use auction listings for your new inventory. The main reason is that you want to capture for someone else the same excitement you felt when you saw that 10×10 door slide up and got to peer inside before bidding on the storage unit! You want your eBay buyer to feel the same irresistible pull of a phenomenal deal and bargain. You want to pass along the massive discount you received on everything inside that repossessed storage locker the moment you entered the winning bid. If you were to be browsing eBay and you saw two brand new identical cell phones, one for $245 cash non-negotiable, and the other opening at 99 cents, which one would you start watching, checking, drooling over? The basic fact of human psychology as regards buying and selling storage auctions is that the mind cannot let go of the tantalizing possibility that somewhere in that upcoming purchase could be treasure – bought for a bargain. You want to generate this same frenzy around your own eBay inventory – it’s what keeps the bidders coming back and back and back to check again on your item, and ultimately it’s what makes the bidding war so intense near the close of the auction, which makes your bottom line fatter. So, at least in the beginning, stick with auction-style eBay listings, and if you really want to do it right, start your items off at 99 cents each. In my long eBay experience, 90% of the time the market will drive your item up to its correct price by the time your auction closes. If you’re really nervous about it, use a reserve price to specify your bottom limit of what you could accept as a reasonable payment for your wares. Next PostNext What Separates Newbies From Storage Auction Experts?